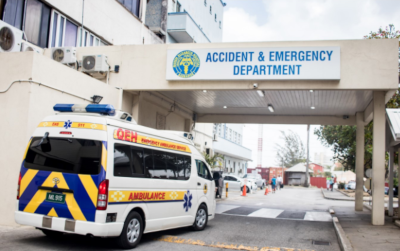 The Queen Elizabeth Hospital (QEH) is Barbados’ primary acute care medical facility, as well as an accredited teaching hospital affiliated with the University of the West Indies, Cave Hill Campus. The institution was opened on November 14, 1964, with a mandate to address the medical, surgical, clinical, and treatment needs of the Caribbean and to serve as a teaching hospital for those seeking a career in the medical profession. The hospital has a capacity of 600 beds and provides a wide range of medical, diagnostic, and therapeutic services. In addition to general surgery, QEH also offers minimal invasive surgery, urology, ENT (ear, nose, and throat), obstetrics and gynecology, cardio-thoracic, orthopedic, dental, pediatrics, ophthalmology, and neurosurgery. Because Barbados practices a form of socialized healthcare, any Barbadian national or permanent resident of the island can take advantage of any of QEH’s services at no charge. Funded by universal taxation, Queen Elizabeth Hospital receives its operating budget as approved by Parliament and dispersed from the treasury via the Minister of Finance. 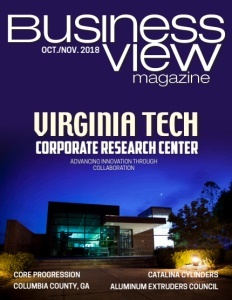 In 2016, Business View Magazine spoke with Queen Elizabeth Hospital’s CEO, Dr. Dexter James, who provided information on several topics, including: the hospital’s continued exploration and exploitation of information and communications technology (ICT); its pursuit of various accreditations by internationally recognized bodies; its philanthropic and fundraising programs; and its support of a new financing model which would replace the taxation model with one more akin to socialized health insurance. “On the developments around ICT (Information and Communications Technology): the government has implemented a National Health Management Information System, and the Queen Elizabeth Hospital is currently rolling out the Electronic Medical Records (EMR) module as one component of the patient administration suite. We should have this implementation completed by the end of November. Patient’s electronic records have been implemented across all polyclinics and will allow for the seamless movement of patients between the hospital and all our public clinics, and, at a later stage, the private sector. This is, perhaps, one of the most significant transformational initiatives in our public health system, because we’re moving from paper-based records to electronic records. “We, at the Queen Elizabeth Hospital, went a little bit further, in that we have completed a back-file conversion project which entailed converting the records of patients who had an encounter with the hospital within the past two years into an electronic format. So, when a doctor logs onto the system, using the patient’s unique identifier, he’s going to have at least two years of a patient’s history to begin the assessment of the patient. This is a very big piece for us – we already have telemedicine solutions for laboratory investigations and imaging studies available across the hospital so diagnostic investigations can be transmitted electronically. Our doctors can also access results remotely, from their homes, or anywhere at any time, once there is connectivity to our environment. With such an access to patient’s records, they are able to have consultations with other caregivers and give early instructions on the care of patients. “We have expanded the ICT capability to our polyclinic network that is not normally part of our hospital setup. Through telemedicine, they can also see laboratory results and imaging studies which can lead to early diagnosis and treatment. “On the accreditation side: the hospital has been pursuing a number of international accreditations, including hospital-wide accreditation for the past two years. So now, our lab is accredited by the Jamaican National Agency for Accreditation under the ISO-15189 standard for Laboratory Quality Management. Our hospital was recently recertified under UNICEF/WHO’s Baby-Friendly Hospital Initiative (BFHI) for the promotion of breast feeding. Our food services was HACCP-certified (Hazard Analysis and Critical Control Points), and boasts of being the only public food services operation in the English speaking Caribbean that has that credential. And, earlier this year, the hospital pursued a hospital-wide accreditation with Accreditation Canada International (ACI) and was awarded the Gold Standard of accreditation [for Quality in Health Care]. So, we have a number of international accreditation designations under our belt which were pursued as part of our overall vision to promote quality improvements and safety which would impact the patient-care experience across all areas of our operations. “On the hospital philanthropy side: this continues to grow; we surpassed our $12 million mark in just under four years. We intend to re-launch our Queen Elizabeth Hospital Trust, which is a special vehicle responsible for aggressively pursuing donor funding from organizations, institutions, the Diaspora and individuals that have a high net worth, to provide much needed capital to fund mainly capital improvements and technology refresh. We’ve also launched our Corporate Business Unit, which is another dedicated unit for processing private patients and marketing of spare capacity towards the generation of additional revenues. So, hospital philanthropy will continue to grow, and we are now moving it to the next level. “The new financing model: health financing is the responsibility of the Ministry of Health. There’s a new government in place, and in the recent pronouncement by the Honorable Prime Minister and Minister of Finance, Economic Affairs and Investments, the hospital will be the beneficiary of $45M in a full year of additional funding from the introduction of a Health Services Contribution of 2.5 percent, of which 1.5 is paid by the employer, and 1.0 percent is paid by the employee. These funds will be earmarked specifically to fund shortfalls in allocation from the Consolidated Fund. Contributions will be remitted to, and managed by, the National Insurance Scheme for onward transmission to the Queen Elizabeth Hospital. So, we are seeing a move towards a different type of modeling aimed at sustaining the package of services provided to the public. “Finally, we normally have an annual board meeting open to the public, which is our innovative approach to improving governance and stewardship, and one recommendation that came from such a meeting was the need to consider expansion to visitation. So, we now have expanded visitation hours that run from 12 Noon to 1PM and from 4PM to 8PM. This allows more access to patients by the public at times convenient to them. So, there is no longer a rush to see patients within the one-hour period of time that we had established; there are now two visitation hours, daily. Of course, the wards that tend to have patients who are in a fairly compromised state – particularly patients with various forms of cancers – those patients can be seen anytime during the daytime subject to consideration by the patient; there are no restrictive visitation hours on those particular wards. 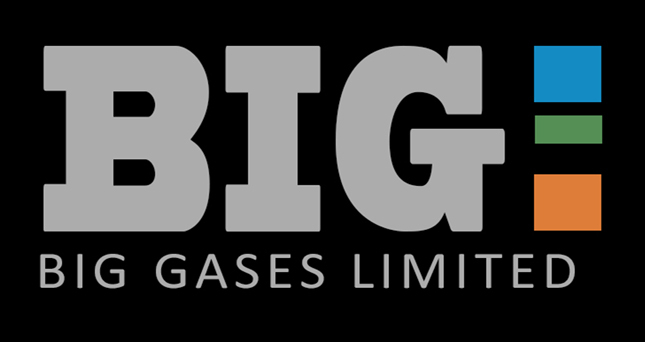 Big Gases Limited, a member of the Williams Industries Group of Companies, is located at Cane Garden, St. Thomas and is a leading supplier of industrial and medical gases. It is also a supplier of oils, industrial lubricants, welding supples and associated products as well as lead acid batteries for motor vehicles under the TRACK brand. 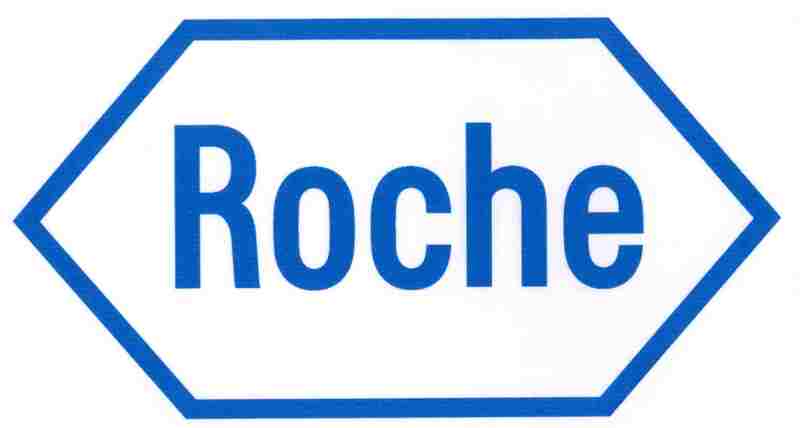 The company since 2006 has been a supplier of a range of gases to the Queen Elizabeth Hospital with the emphasis being on the supply of oxygen. As the need arises we also supply them with medical equipment used in the transfer of oxygen to their oxygen bank. Over the period in question, we have developed a very good working relationshop with the management of the hispital and we will continue to support them in their efforts to achieve their goals. We wish them every success in their future endeavors to rpovide the highest quality of medical services on the island.